The look of a stacking set with the convenience of a single ring. Don't let the twisted textured band fool you. This baby is super comfy, looks great, and doesn't catch on fibers or your hair. I twist a length of square copper, silver plated, or sterling silver wire (rose gold-filled or gold-filled available by request) and shape. Ends are hammered flat and filed smooth for comfort. 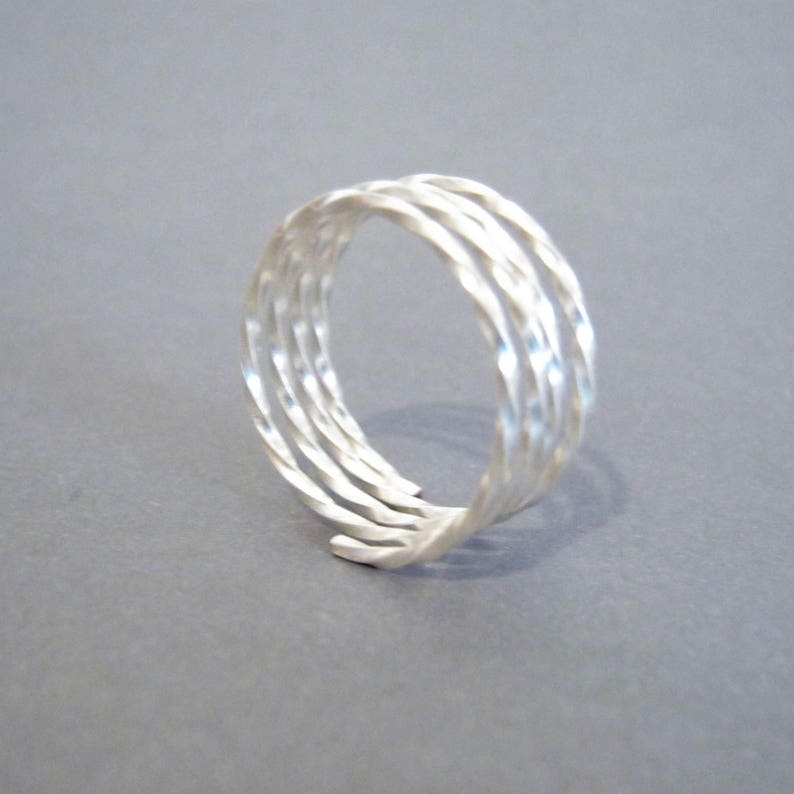 Sizing: I suggest a half to whole size up from your ring size to accommodate the wider band. For example, my finger's a 9, but I'm wearing a size 10 in the photos. Every order arrives in a small gift box with simple ribbon wrap ready for gifting or wearing. My guarantee: If your ring arrives and doesn't fit just right, I am happy to exchange ONE TIME. Just pay to ship the first back to me. Very pretty ring. I pulled the ring apart slightly, since I have long fingers & wanted the ring to fill in more space. Shipping was super quick! Thank you!